In the history of universal literature, where you can observe the evolution of poetic genres between archaic financial years and the emergence of civilizations, we see a general phenomenon: the rapid decay of epic poetry and the rise of lyric, with the subsequent valuation of the individual and its subjective expression. This is what happened between Greeks, Arabs, Hindus, Babylonians, Mayans, Japanese, Icelanders. When the epic emerges (for example, in modern European literature), it is always an imitation of old patterns, cerebral work of writers. So it has enormous importance, as an aesthetic fact, the case of the plot of samba – genre emerged in Rio de Janeiro, a city prone to subversion of logical order. Rather than precede them, the plot of samba graduated from their lyrical counterparts; and an absolutely spontaneous process, without copying any other epic model, domestic or foreign. In principle, these compositions followed the versification already enshrined in sambas then: stanzas based mostly redondilha (verse seven syllables characteristic of Iberian poetry), cut by one or two choruses. With contributions from Top Hat, Carlos Cachaça and Nelson Sargento, composers were abandoning the Portuguese armor, passing over the redondilha, varying the number of choruses and lengthening the sambas – until Silas de Oliveira, in 1951, he gave the genre its classic format. Silas – unsurpassed genius – was not fixed underground verses, rhymes put in random position, entortava the relationship between syntax and back. If there was a rule of composition, it was the unpredictability. After Silas, the plot of samba became unmistakable; has become, itself, a genre. This formal amplitude allowed an extreme sophistication of melodic line, in the 50s and in the following decade, with the phasing out of exaltation plots the historical figures, emerge the great masterpieces, which have their Seca milestone in the Northeast, the Tupi very modest. The thematic spectrum is expanded, highlighting the popular and regional scene, the Indian mythology and literary recreation (as exemplified maximum Invention of Orpheus, miracle of Paul Brazão to Vila Isabel, on the hermetic poem by Jorge de Lima) . 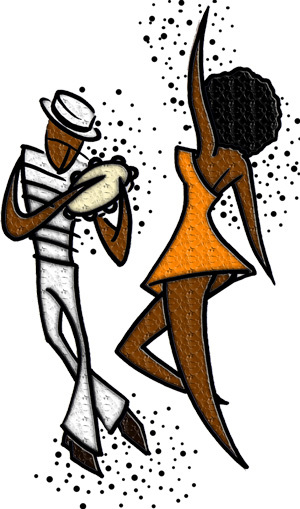 And the plot of samba continues epic, even with lighter melodies, such as Martinho da Vila, David Correa and Didi – creator of a typical islander style that made the school the Island Union currently owns 4 of the 5 most played sambas during the carnival. The samba schools were still able to recount, in an epic way, more trivial matters, more apt to approach a lyrical or satirical – as the train ride from On Top of the Hour; the free fair Caprichosos; Sunday from Union Island. No thematic line, however, was so fruitful, as fundamental as the african-Brazilian. It is the plot strand that justifies the existence of Willow. Since its inaugural show in 1954, when was the first college to put a samba words of African origin, the Willow infected other schools, paving the way not only for the dissemination of a whole Candomble mythology, but to a new history of slavery and the black in Brazil, undermining stereotypes ingrained in Brazilian consciousness. As Rio is even a city of subversion, the epic tone of this line of sambas and plots in their heyday, reversed the assumptions carnival itself. The samba schools were not intended to serve an irrational overflow of repressed emotions – but paraded to move, to provoke thought. In the whirlwind of Momo, was an intellectual oasis. In this sense, the story of samba contribution in rebuilding the self-esteem of poor communities was invaluable, linked to the samba schools. Today, unfortunately, we only have the sambas memory 20, 30 years ago. The plot of samba art is dying. And the reason is simple: we live in the era of “functional samba”, due to the same kind of shallow mentality that forged the “result of football” (and which led Brazil to the shameful position it occupies). The plot of samba has become an almost irrelevant Question for evaluating the parade. With the sound system of the runway, it is not necessary for public components and sing – just saltitarem, cheerful, sold, at the time of the chorus. Moreover, even attempting to sing, the current acceleration of the batteries makes it sometimes impossible this boldness. 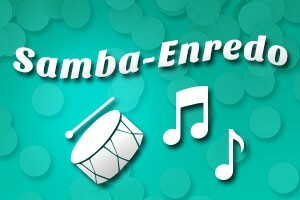 Samba thus need not be learned, let alone estimated. The judges (in the strict “questions of carnival” as allegory, fantasy or front commission) are very complacent with composers; and any ox-with-pumpkin powerful school out of the calculation with their 9.9. The compositions are increasingly melodic like; and they have relapsed in the old strophic symmetry and fixed choruses. Annual crops have now, at best, two great sambas. For 2013, we have only one: Portela. Allegorical and spectacular shows, packaged by poetry and music, always exist in our carnivals. But the associations may not necessarily samba. This is the horizon. Does anyone care?